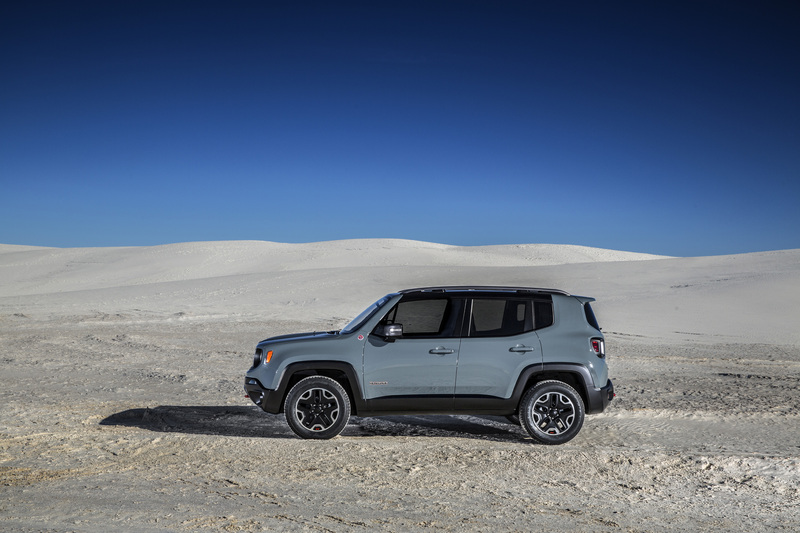 Renegade: the new light weight reconnaissance vehicle from Jeep is here! My friends tell me that I’ll fall in love anything that says Jeep on the front, regardless of what follows the seven slot grille. That’s not entirely true; I simply get excited when Jeep does things that no one else is doing. Despite the fact that this vehicle is clearly something new for Jeep; it looks a lot better than I had anticipated, it looks like a Jeep. I’m not surprised to see a Trailhawk badge on the back of the Renegade either. 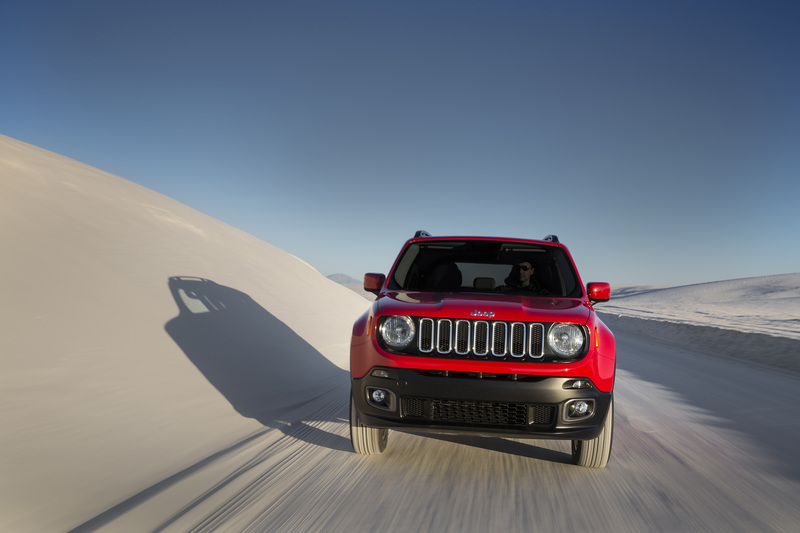 Jeep is making a name for the dedicated off road models, other than simply referring to them as “the trail rated one.” The Renegade will share similar power train designs debuted with the 2014 KL Cherokee, including its 9 speed automatic, and Active Drive 4 Wheel drive systems. 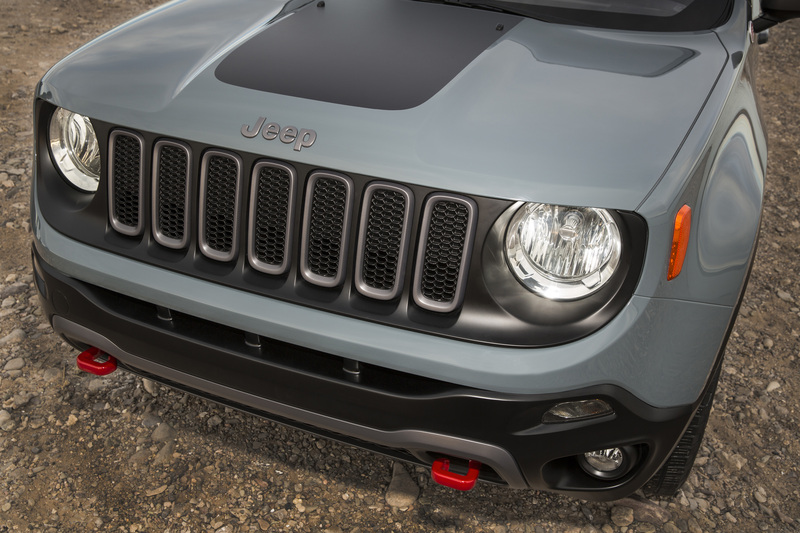 The Renegade Trailhawk also comes with front and rear tow hooks, improved approach and departure angles, skid plates, and low range 4 wheel drive. The Renegade will also debut a new open top feature dubbed “My Sky.” Similar to Liberty’s Sky-slider (which was also supposed to be available on Cherokee, but we’ve yet to see one outside of promotional videos and auto shows,) My Sky will offer “open-top” freedom unlike any of its competitors. My Sky will be available as either a retractable or removable system. 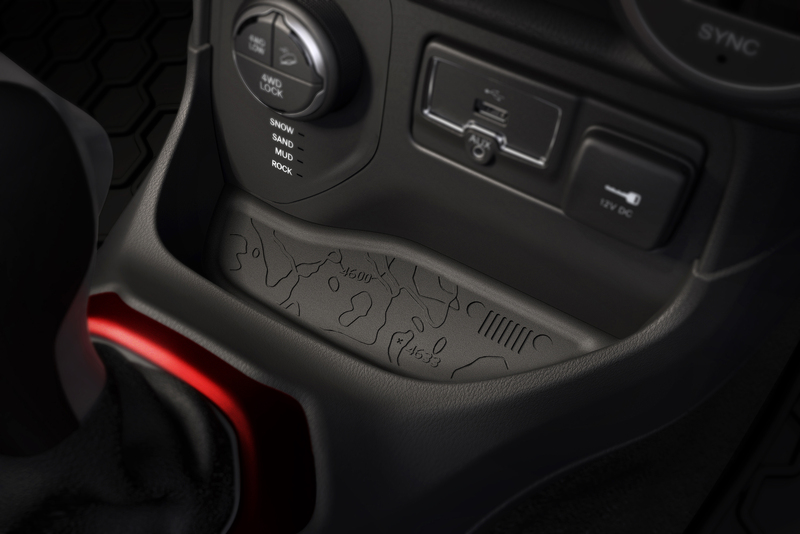 Similarly to Cherokee, Jeep took design cues from nature, Jeep heritage, and potential buyers with active lifestyles – calling out the Renegade’s World War II Jerry can style tail lights, a map of Moab in the coin tray, and goggle shapped air vents to name a few. 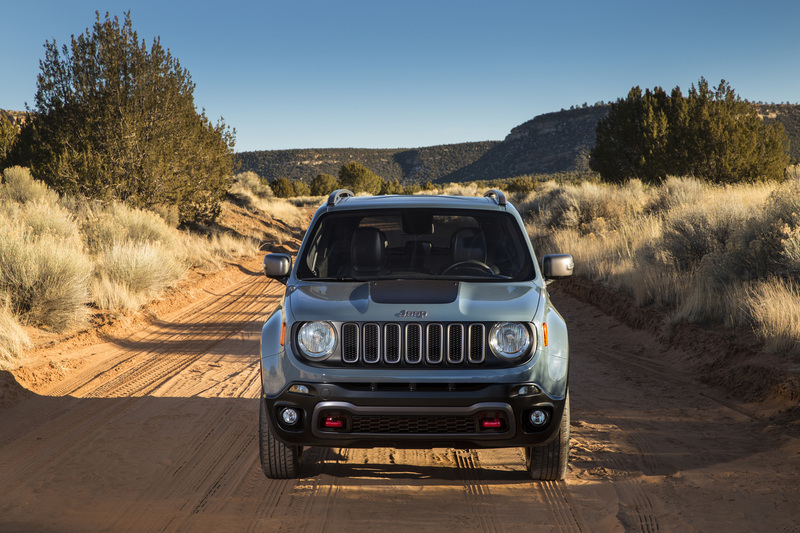 The Renegade name has a long history with Jeep and was first used in 1970 as a trim level for the CJ, featuring special exterior colors and a sweet, sweet Levi’s denim interior (let’s hope the 2015 Renegade shares that trait.) 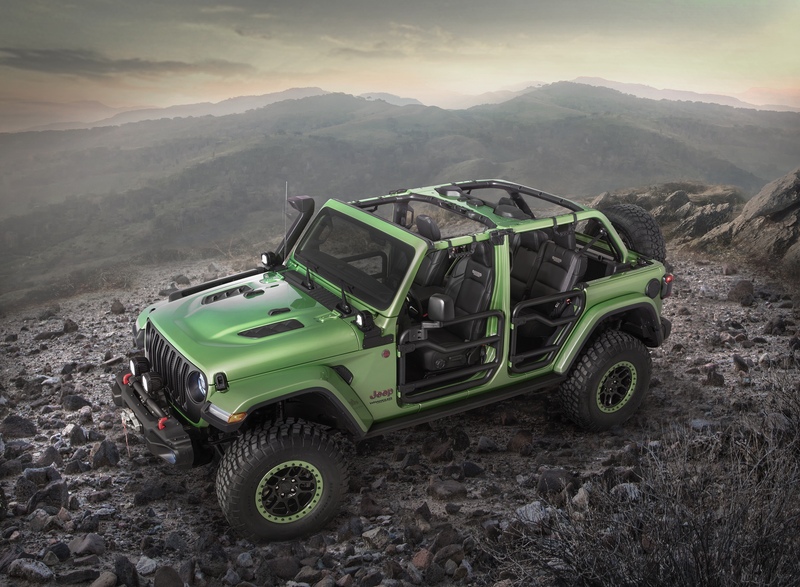 Renegade was later used for a YJ Wrangler equipped with with an uncharacteristic body kit installed by American Specialty Cars prior to being shipped to dealers. When the KJ Liberty was introduced for 2002, the Renegade was a dedicated trim level optioned to be the rugged, offroad version. As a somewhat predecessor of the Trailhawks, Renegade continued as the rugged version of the KK Liberty. The name was used in 2008 for a Jeepster looking off road buggy type thing, and most recently on a JK Wranlger Concept vehicle featuring a Hemi V8 swap. 2015 will mark 75 years since the US government informed automakers that it needed a light reconnaissance vehicle; a request that spawned the very first Jeep. 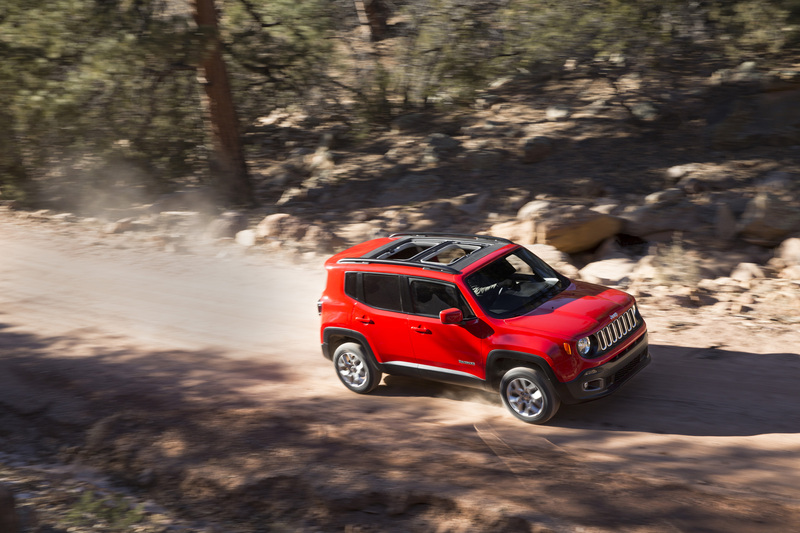 It seems fitting that the small, compact Renegade, is the first 2015 vehicle to be introduced from Jeep. Hey Kevin, so do you personally like the new model? I find it a bit weird looking to be honest.